#BirdofMouth student blogger Alina Crowley is a sophomore public relations major. Redbird life is more than academics and student organizations. You’re part of something bigger. If you’re a big sports fan like me, this is what you need. Illinois State students can purchase a Red Alert pass for just $50 and receive free admission to all sporting events. You also receive 15-minute priority seating before games and a free Red Alert T-shirt. Sure, Friday night football games in high school were fun and all, but they can’t compete with college football Saturday. There is nothing like being a part of such a diverse and outgoing group that’s screaming their heads off all with one goal in mind. Plus, you will be joining the two-time reigning Missouri Valley Conference Naismith Student Section of the Year. The Redbird Athletics crew is super-savvy on social media. You should follow the Redbirds on Facebook, Twitter, Instagram, and even Snapchat (isuredbirds). Students can become part of the game by seeing their tweets posted on the scoreboard, entering social media contests, and more. Use #BackTheBirds in your tweets & pictures from your tailgate & in the student section to see yourself on the videoboard at today’s game! As an Illinois State student you have tons of discounts coming your way—and you don’t even have to do anything except watch the Redbirds win. This football season, for example, when the Redbirds win our fans can get 50 percent off menu-priced items the next day at PapaJohns.com using a special promo code. And pay attention to @ISURedbirds social media throughout the week, because they might just announce free pizza and other giveaways at upcoming games. At almost every sporting event there are T-shirt throws, student giveaways, and more. If you’re like Freshman Me, you’ll be a college student stuck in a high school wardrobe. As a senior, 85 percent of my Redbird gear I got for free at an Illinois State sporting event. What’s your favorite part about #RedbirdHomecoming? The best response wins an ISU Athletics prize pack! Are you ready for game day yet? For all Redbird Athletics schedules and more check out GoRedbirds.com. 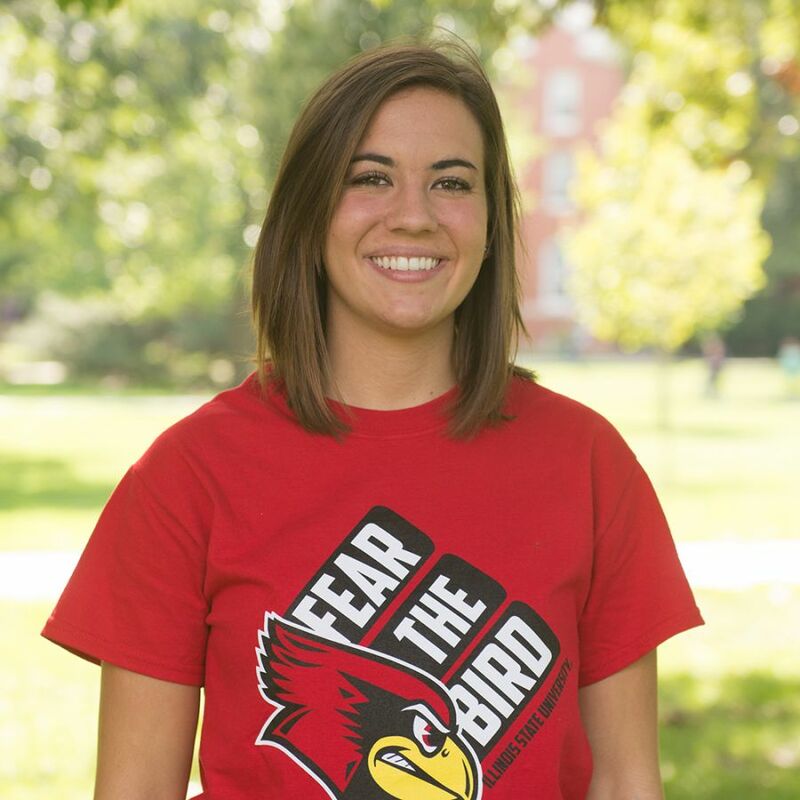 #BirdofMouth student blogger Alina Crowley is a sophomore public relations major. Read more #BirdofMouth posts.